Welcome Students, Parents and Friends of SDS to the monthly blog. I will be using this to keep you posted of all the latest SDS news, info, practise tips for students, photos, videos, social media and more. 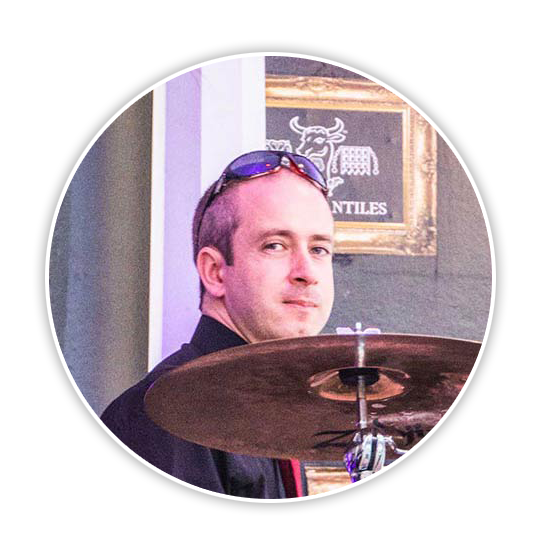 This month’s edition is about how to maintain your drum kit focussing on common faults with the Hi-hat, Bass Drum pedal and knowing how to change a drum head. There are 4 main areas where faults can occur on the Hi-hat. The first and most common fault is on the Hi-hat clutch. This is the part which holds the top Hi-hat cymbal to the rod on top of the Hi-hat stand. The wing nut on the Hi-hat clutch can sometimes come loose causing the top cymbal to drop onto bottom cymbal while playing. To fix this problem, just lift up the top cymbal to the required height and tighten the wing nut to stop the top cymbal slipping again. The second fault is also on the Hi-hat clutch. The nut on the bottom of the HH clutch underneath the top cymbal can come loose causing the HH to stop working. To fix this lift up the top cymbal again, you’ll find the nut just above the bottom cymbal if it has completely come away from the clutch. There should also be a felt or rubber insert which needs to be placed either side of the top cymbal. The felt should also have fallen off the clutch by the nut that needs to be refitted. To fix you’ll need to reassemble the HH clutch ensuring the felt is on the cymbal followed by the nut. The third possible fault with the HH will lie inside the hi-hat where the top rod may have come loose from a secondary rod inside the hi-hat stand. It can unscrew itself if loose. To fix this you’ll need to take both the cymbals off the hi-hat and remove the top rod (it should be loose if this is the problem). Unscrew the wing nut halfway up the HH stand and take out the top section that is left. You should see a second rod which is attached to the pedal, this is the section the top rod screws in to. Screw the top rod in and put the rest of the HH together. The 4th possible fault with your HH could be where the second rod screws into the pedal. If this has come loose carefully screw this back in and reassemble the HH and then this should be back working again. The BD beater may have come loose. At the bottom of the beater you’ll find a tension bolt. This may have loosened causing the beater to slip or even fly out of the pedal. Just move the beater to the required height and tighten the tension bolt with your drum key. The spring on the pedal may have lost it’s tension and come loose. The bottom of the spring will have a bolt connected to it which goes through a section to hold it in place with two nuts. The bottom of the two may have come loose causing the spring to fall off the pedal. To fix this you need to make sure the spring is connected to the cam at the top of the pedal and the bottom of the spring/bolt goes through the hole in order to be held in place by the two nuts. Loosen all the tension bolts gradually by going round from one end to another in a ‘star-like’ format until the head is completely loose. Undo the bolts completely and lift the rim off the drum being careful to not let any bolts fall off. You can can then with your other hand lift the old drumhead off and put the new drumhead on. Place the rim back on the drum and push down fairly firmly to ensure the head is on the drum properly. Tighten all the tension bolts gradually until they’re all finger tight. Then gradually tighten the bolts with the drum key again moving from one end to the other to create an even tension. With new drum heads tighten the head to a fairly high tension/pitch at first to give the head a good stretch. To then tune the drum head you need to create an even pitch around the edge of the drum by doing a quiet tap an inch away from the bolt and again moving from one side to the other to create that even tension. So I hope that this has been some help in learning how to cope with common drum faults and basic maintenance.